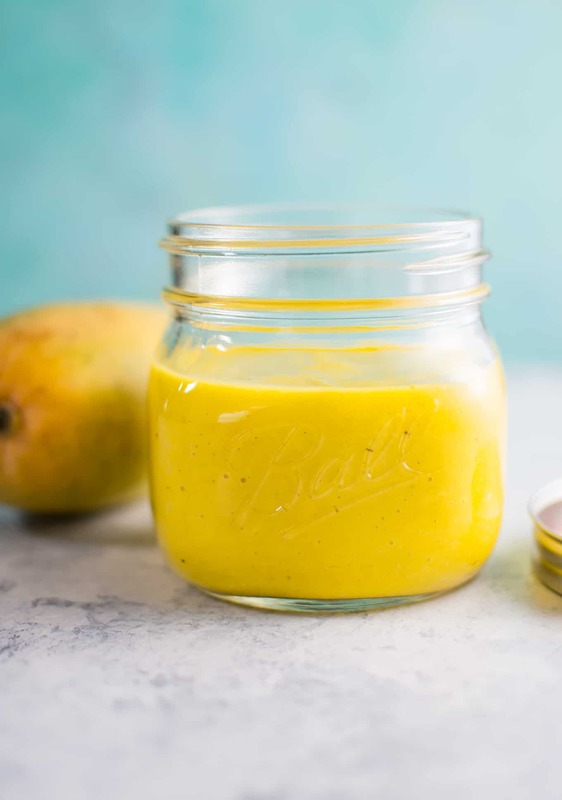 A fresh and fruity mango vinaigrette salad dressing. Peel and dice your mangoes. Here's a good step-by-step tutorial if you haven't done it before. Add the mango pieces to your food processor along with the honey, lemon juice, and salt & pepper. Blend on high. Slowly drizzle in the olive oil while the motor is running. Transfer the dressing to a jar with a lid. Chill for a few hours or serve immediately. Dressing will last a few days in the fridge. This is the trusty food processor I used to make this salad dressing.